NJ Transit is working with Hudson, Passaic, and Bergen Counties to assess the restoration of passenger service between Hawthorne and Hackensack. 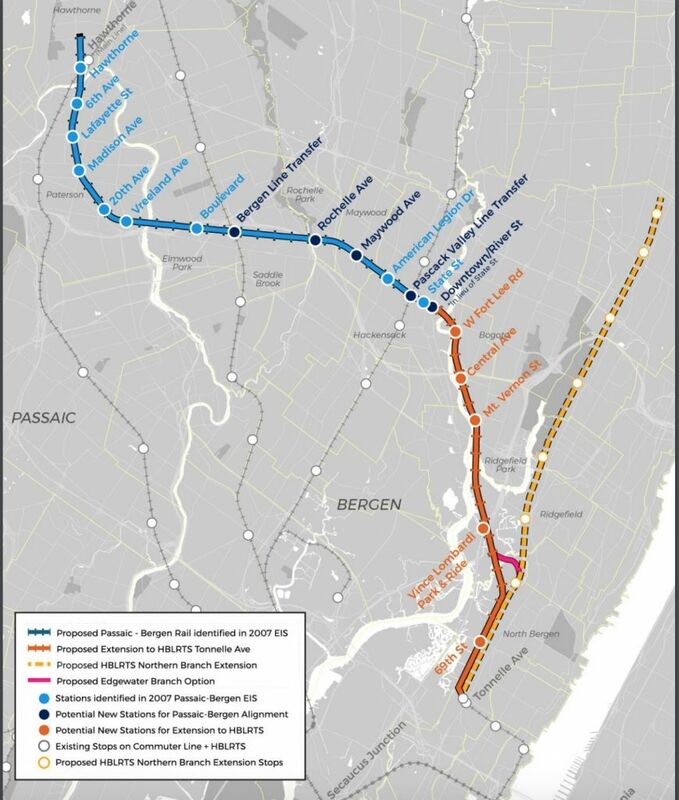 There is a proposal to connect this line to the Hudson-Bergen Light Rail at the Tonnelle Avenue Light Rail Station in North Bergen. A public meeting will be held from 6 to 8 p.m. on Wednesday, Feb. 13, 2019 to share information on this project. The meeting is at Eastside High School, 150 Park Ave., Paterson, NJ. The proposal will build off previous efforts and consider a range of options, station locations, and the potential of transit-friendly land uses along the corridor. The purpose of the meeting is to introduce the proposal to the public and collect initial feedback to the potential project.